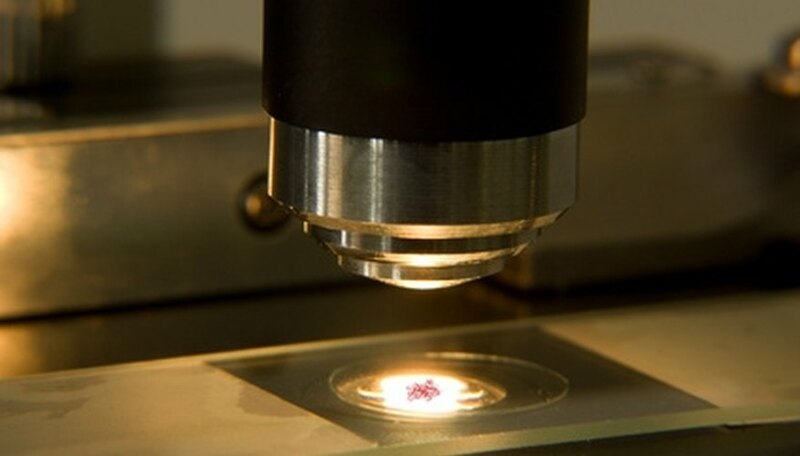 A microscope is any device that allows you to see objects too small to view with the unaided eye. An optical microscope consists of a series of magnifying glasses and is commonly used for viewing bacteria. 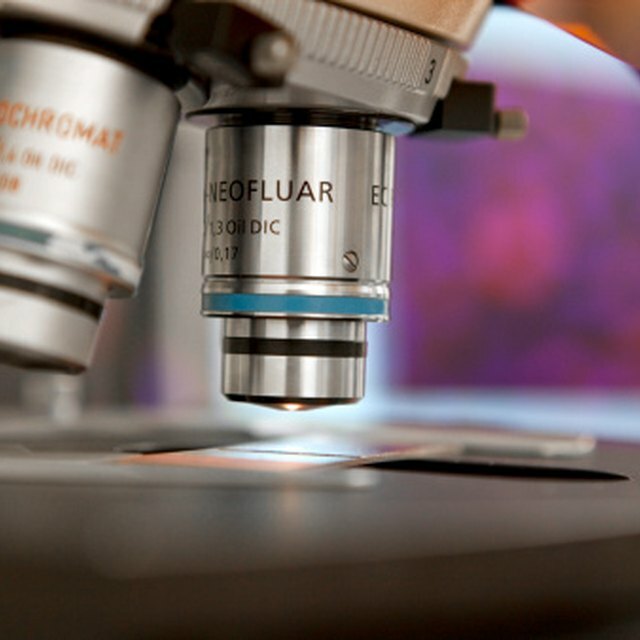 These types of microscopes require specific adjustments to bring the bacteria into clear focus. Set the microscope to use the objective lens with the lowest power. Adjust the microscope’s light so that it uses enough illumination to view the bacteria, but not so much that it washes out the bacteria specimens. Adjust the eyepieces if you’re using a binocular microscope. Unlock the eyepieces and adjust the distance between them so that you can view the bacteria with a single binocular image. Lock the eyepieces in place once you have properly adjusted them. Remove your eyeglasses if it’s at all possible to view the bacteria without them. Eyeglasses are usually made of hard plastic that may scratch the lens in the eyepiece. The microscope can be adjusted for most types of vision deficiencies except for heavy prescriptions or astigmatism. Hold the slide with the bacteria with the cover slip facing up. Place it on the stage and secure it in place with the clips. Use the coarse focus knob so that the bacteria are approximately in focus. Bring the bacteria into clear focus with the fine focus knob and switch to the objective lens you’ll be using to view the bacteria. Focus the bacteria with the fine focus knob once again. Adjust the focus on the eyepieces independently if you have a binocular microscope. Close your left eye and focus the right eyepiece. Open your left, close your right eye, and focus the left eyepiece. Why Is It Desirable That Microscope Objectives Be Parfocal? Robinson, Allan. "How to View Bacteria Under a Microscope." Sciencing, https://sciencing.com/bacteria-under-microscope-5452821.html. 24 April 2017.